Birmingham has always had a free jazz/improvised music scene with its own venues and its own followers. The voluntary promoters Fizzle have been at the forefront of this scene with regular Tuesday night sessions, originally at the Old Moseley Arms pub, but for many years now at the wonderful Lamp Tavern pub off the Pershore Road. Fizzle has really built up its audiences in the last few years under the enterprising leadership of musician Andy Woodhead and with the support of TDE Promotions/Fizzle co-promotions in the Hexagon Theatre at mac. At the heart of the free scene have been a number of key players who have been based in Birmingham or the surrounding area. The late Tony Levin lived in Birmingham most of his life before moving out to nearby Shropshire, Steve Tromans has mostly been based here apart from a few years abroad in Mongolia and elsewhere, Paul Dunmall has been based nearby in Worcestershire since 1979 and, more recently, Mark Sanders has made his base in Bearwood, which is effectively in Birmingham, but technically just outside. These players have international reputations and tour widely in continental Europe, and occasionally to the USA, but will also appear in Birmingham. For example, Paul Dunmall recently played at mac with a fabulous quintet built around the Chicagoan drummer Hamid Drake as part of a three-date UK tour that also featured trumpeter Percy Pursglove and Steve Tromans. A few years ago Paul played in a trio with Henry Grimes and Andrew Cyrille, initially at the Vision Festival in New York and then on a UK tour. Here’s a short example of their music with Paul playing bagpipes. Percy Pursglove is one of the younger players who can play in a free jazz context with as much confidence as in a more mainstream situation. He often plays with Evan Parker as well as playing in the trumpet sections of big bands and leading his own projects. In this he is perhaps typical of an openness of the free scene in Birmingham. It is not isolated or keeping itself separate from the more straight-ahead jazz scene; players and audiences overlap. All the players mentioned above play or have played very successfully in more mainstream bands. Tony Levin played of course in one of Tubby Hayes’ later and most successful groups, Paul Dunmall played for years with Spirit Level and with Danny Thompson. Moreover, many young graduates from the Conservatoire find it natural to play free as well as in more structured settings: as well as Percy Pursglove, saxophonist Lee Griffiths, trombonist David Sear and pianist Ollie Chalk come to mind. Of course, much contemporary jazz will incorporate elements of free playing in a more structured setting, and it could be argued – which I think I have often done in the past! – that the ‘mainstream’ of jazz is now an approach that moves from written passages and solos to freely improvised sections, or ‘in and out of tunes’ as it is sometimes called. One thinks of bands such as Seb Rochford’s Polar Bear, or Tim Berne’s Snakeoil. Very much in this tradition is Sid Peacock’s Surge whose music moves seamlessly from Sid’s compositions into often frenetic free passages and whose personnel includes Steve Tromans, Mark Sanders and trumpeter Aaron Diaz. Surge’s concerts always feature a conduction led by Sid, in which he guides the improvisation through signals and gestures. Surge are at the heart of the forthcoming Surge In Spring one-day festival at mac on Saturday 8 April. This is all-day event running in the main theatre, the small and intimate Hexagon Theatre and the bar area, and running through from 1pm to late in the evening. The day features Ray Prince’s Gospel Revisited Project, John Mayer’s Indo-Jazz Fusions, and a final full set from the 21-piece Surge Orchestra. There will be sessions in the bar and improvised sessions in the Hexagon Theatre. But in the context of this article, the most exciting event promises to be the Free Jazz Improv set that will feature the first coming together of Paul Dunmall and John O’Gallagher. John O’Gallagher is an American alto saxophonist who is highly regarded on the New York scene, playing there with Jeff Williams as well as leading his own groups. 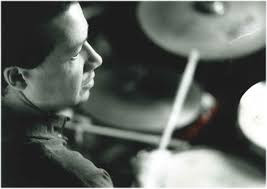 He is currently based in Birmingham studying at Birmingham City University and writing a doctoral thesis on the late work of John Coltrane, especially the Interstellar Space album. Since starting his research here, John has been to hear Paul play and Paul has been listening to John’s albums. They are keen to play together and this is finally happening! They will play in small groups with members of the Surge band - notably Steve Tromans, Mark Sanders and Simon King - and will also be joined by vibraphone player Corey Mwamba. There will also be a large scale improvisation conducted by Sid.